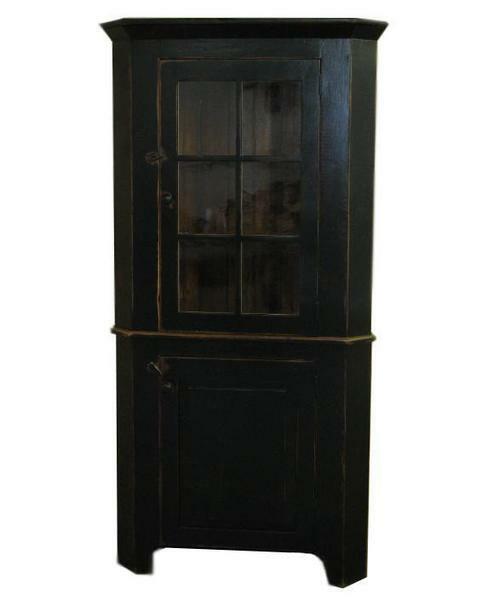 Complete your country kitchen with this Amish handcrafted Reclaimed Barn Wood Corner Hutch. Made from century old American barn wood in Pennsylvania, this corner hutch is truly eco-friendly. Show case your families memories in a corner hutch filled with history and character from the original knot holes, nail holes, and saw marks. With many different paint or stain options you can be sure to match your farmhouse kitchen. The three shelves behind the glass door will give you plenty of room to display your special family heirlooms with plenty of storage space below.